Once again we invite your prayers for all those about to be ordained, and particularly for the 22 students of the College: 13 to be ordained to the Diaconate, and 9 to be ordained Priest. In an increasingly uncertain world, it is a huge encouragement for us all that the College is able to send out men and women of faith, ready and willing to serve in dioceses across the Church of England – from Newcastle to Chichester, Carlisle to Durham, Chelmsford to Gloucester. And no sooner do we send them on their way, than we prepare to welcome another new group of students – though with very little idea just who and how many they may be! 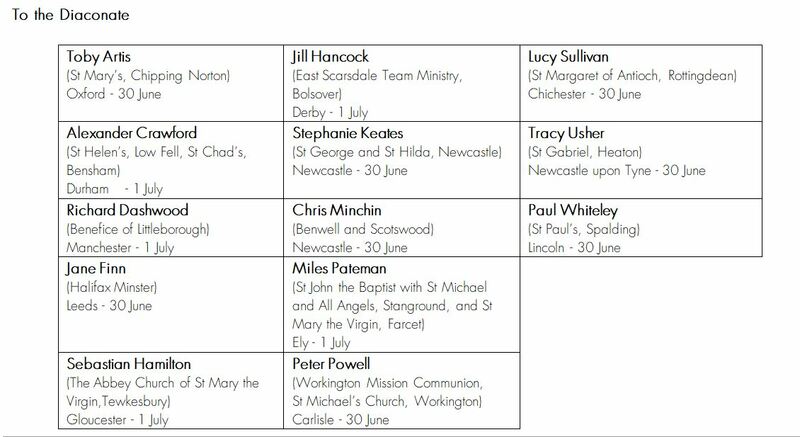 We have interviewed nearly 40 for next year but many of them have very late Bishops’ Advisory Panels, so we shan’t know until at least mid-August who is coming.